Taking the time to test for radon can save the lives of you and your loved ones. Radon does not have a scent. This makes it hard to discover an issue in your home without proper equipment. The EPA estimates that 1/15 homes have high levels of radon. Our family takes pride in what we do, serving customers with a state of the art system while providing clean quality work. We are not just passionate about informing our customers how a radon system works, but how it will be specially tailored to the decor of your home, leaving no surprises or hidden cost on the date of installation. 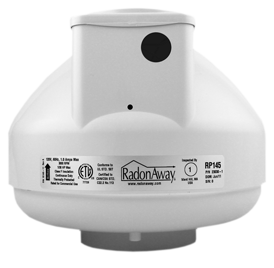 Radon Technology & Environmental specializes in creating safe and healthy environments by effectively removing radon gas from your home or commercial building. Locally operated in Royersford for over 25 years, we are familiar with the challenges our customers face and deliver straightforward, effective radon abatement solutions. Whether you are in need of system installation, inspection, or repair, our team of experts complete quality work, eliminating unpleasant surprises, hidden costs, lengthy delays, damage, and mess. 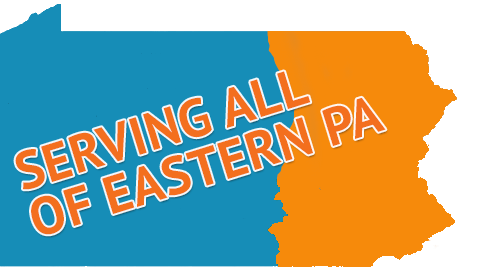 We keep work areas clean, neat, and organized, and provide convenient and affordable service in Avoca, Doylestown, Quakertown, Warminster, Blakeslee, Phoenixville, Moosic, Pottstown, Willow Grove, Limerick, Royersford, Clarks Summit, Morgantown, & Lancaster PA and across Southeast Pennsylvania. Our training, dedication, and state-of-the-art radon mitigation systems ensure rewarding results and your complete satisfaction. Protect yourself from high radon levels with professional radon removal services! Unfortunately, radon can be found all over the country, however, four out of ten homes in Pennsylvania are estimated to suffer from elevated radon level, including the areas of Avoca, Doylestown, Quakertown, Warminster, Blakeslee, Phoenixville, Moosic, Pottstown, Willow Grove, Limerick, Royersford, Clarks Summit, Morgantown, & Lancaster PA. If you are faced with overly high radon levels, proactive measures are necessary. Radon gas exposure can be a threat to your health; know the side effects of radon gas. According to a 2003 study performed by the EPA, radon is estimated to cause approximately 21,000 lung cancer deaths per year. Safely lowering radon levels requires technical knowledge and specialized skills. The team from Radon Technology & Environmental is trained to fix radon problems, offering advanced treatment methods that successfully manage the most difficult challenges. System results are guaranteed. Learn more about the dangers of radon and the benefits of radon remediation system installation from our expert team! Family owned, Radon Technology & Environmental is built on a foundation of honesty. We believe in what we do, and take the time to explain concerns associated with unsafe radon levels, and also provide thorough explanations of how a radon system works. Because we see it as a conflict of interest, we do not perform testing before or after we have installed a radon remediation system. We offer free on-site analysis and radon test kits from an independent lab to ensure your complete satisfaction. Contact us at (610) 427-8793 to speak to a knowledgeable member of our staff, who is standing by to assist you in scheduling convenient installation or repair service. We work with home and business owners, realtors, and developers, and are qualified to handle existing residential and commercial environments, as well as new construction. We are Pennsylvania’s leading experts, and a trusted solution to concerns with radon gas. Let the specialists from Radon Technology & Environmental provide you with complete peace of mind and acceptable radon levels. Contact Us For A Free In Home Estimate! Ensuring minimal visibility and maximum appeal.